Age: Rounded primary tips, gray scapulars and plain upperwing coverts all point to a 2nd cycle type large white-headed gull. 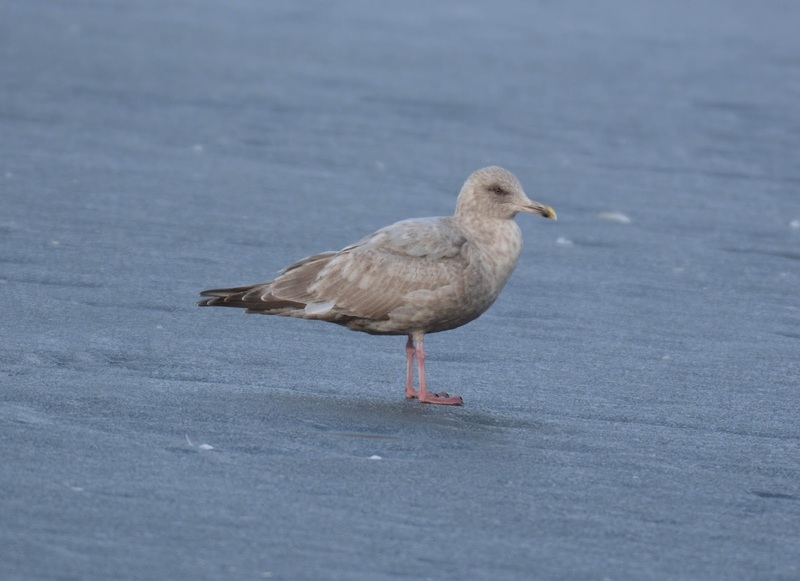 Identification: The pattern on the outer primaries - a so-called venetian blind effect - suggest a white-winged gull. 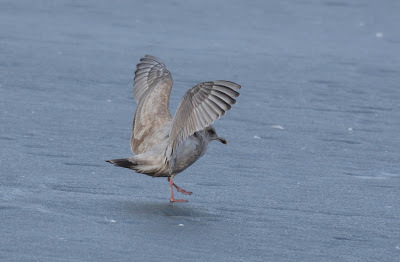 The contrasting dark-brown outer webs with light-brown inner webs on the 5 outer primaries are reminiscent of Iceland Gull. The bill has retained much black with a pinched-base look, something we often find in Thayer's, and that's what the April Quiz bird was identified as. 2nd cycle Thayer's Iceland Gull. Milwaukee, Wisconsin. February 2017.